The Wiseburn Unified School District, with the recent unification of Da Vinci schools is considered to be one of the most highly desirable school districts in the South Bay. Wiseburn serves students from Hollyglen and unincorporated areas of Del Aire and Wiseburn. As such a respected school district, it has drawn many families to buy in the Hollyglen and Del Aire neighbhorhoods of Hawthorne, bringing up home values in the area. In fact, the sale of single family residences has increased in quantity and price over the past year. In 2016 from the beginning of the year to today (10/26/16), 27 SFR properties were sold. The minimum closing price was $440,000 and the max was $1,049,000. In 2015, over the same time span, 23 SFR were sold. The minimum closing price was $416,000 and max was $790,000. The difference in the average of closed price in 2016 and 2015 was over $70,000! Wiseburn School District has always been incredibly respectable, but with the unification of the Da Vinci Charter schools and a new highschool in the works, the school district and the residential communities will only continue to flourish. Encompassing four school districts and four independent charter schools, the student population has been growing. Two Da Vinci Schools, k-12 charter schools were first introduced in 2009, giving the district its first high school options. Two additional charter schools were opened in 2011 and 2013, Da Vinci Innovative Academy (K-8) a project-based program catered to home-schooled children and Da Vinci Communications, another high school option were opened. The unification of Wiseburn and Da Vinci Schools into the Wiseburn Unified School District was approved in 2013. Wiseburn and Da Vinci together serve near 4,000 students. The diverse ethnic composition of the student body adds to the enhanced learning experience. Largely reflecting “authentic” California, the breakdown according to the Wiseburn Unified School District website is: 7% multiracial, 6% Asian, 15% Caucasian, 14% African-American, and 58% Latino. With the Wiseburn Da Vinci team-up, the District offers a personalized learning process in a rich learning environment. The District also participates in the Los Angles County initiative, Arts for All, promoting the notion that the arts are a vital part of a comprehensive education. 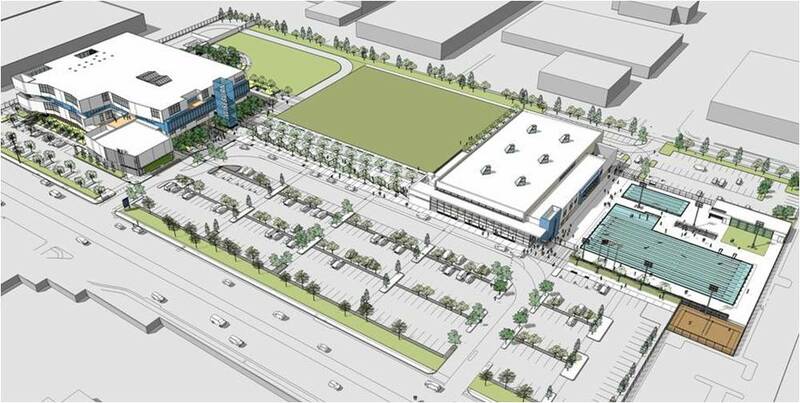 In 2014, Da Vinci Schools received a $52.7 million state grant towards the construction of their new project – a $141 million campus to house three of the charter schools: Design, Science, and Communications into the first ever, Wiseburn High School. 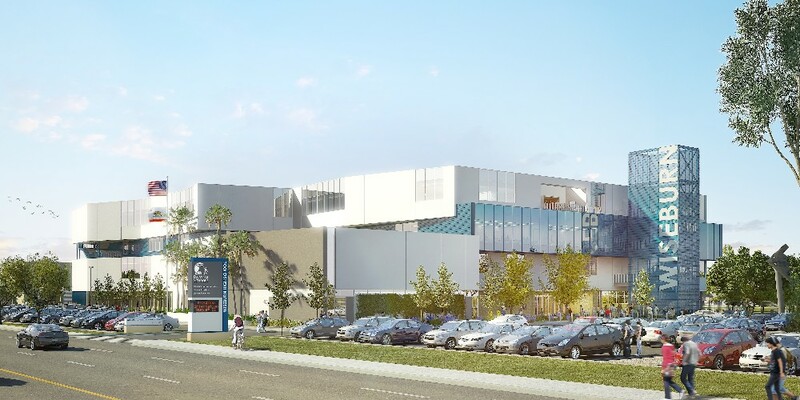 This will be the South Bay’s first new high school campus in 50 years. The campus will be located at 201 N. Douglas Street in El Segundo, California. The 4-story project utilizes a once design center for aerospace engineers, transforming it into an incredibly innovative campus, crafted for 21st century education. Designed by Gensler and David Stevens of New Vista Designs for 21st Learning, the 13.7 acre campus will house 1,200 high school students with the three separate Da Vinci schools on each floor. Made possible by innovative teaching spaces, “pods”, that open up to expansive common areas, the schools will all come together in an interconnected atrium. The building will be available for students in August 2017, with the gymnasium and pool completed by Spring 2018. Generally, the district boundaries are Sepulveda Boulevard on the west, Marine Avenue on the south, Imperial Highway on the north, and Inglewood Avenue on the east. Incubated at Da Vinci Schools, also check out RISE, a proposed LA charter school, focused on educating homeless and foster youth which just won a $10 million grant from a high school redesign competition, funded by Laurene Powell Jobs, widow of Steve Jobs. Not only does this innovative idea showcase the bright future of education in LA County, it also demonstrates the originality and forward-thinking ideas spurred by a Da Vinci school environment. Interested in knowing more about the markets which feed into the Wiseburn school district? There are many wonderful options including the popular 360 at South Bay Community which offers wonderful amenities. Contact a RE/MAX agent to be a more educated buyer in the future!